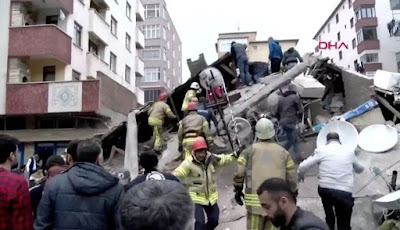 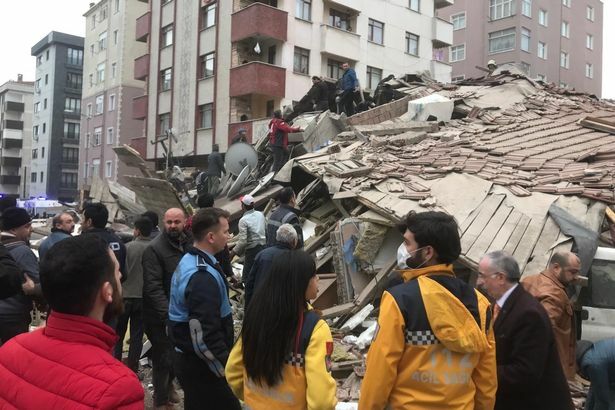 At least one person has been killed and four others left under the rubble after a six-storey building collapsed in Istanbul. 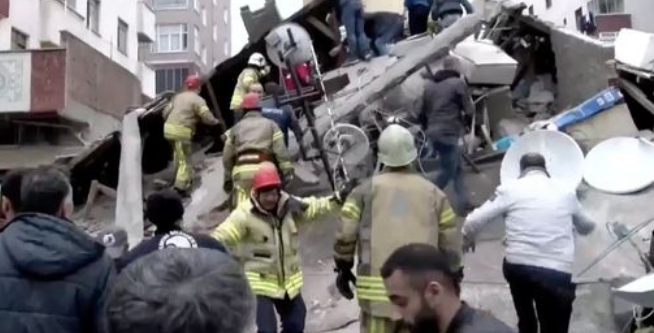 Dramatic images from the scene show people clambering over the collapsed structure. 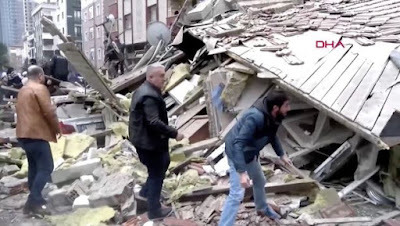 Debris is strewn everywhere and many are seen frantically on their phones, trying to get help. Piles of broken furniture lay in the middle of the street amid the scene of destruction in the Maltepe area of Istanbul. 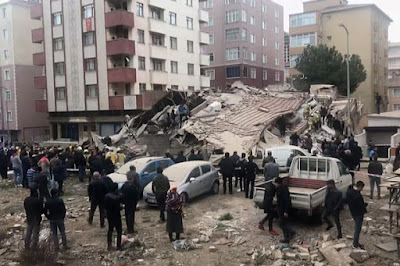 There were 12 flats in the building which collapsed following an 'explosion,' local reports say.